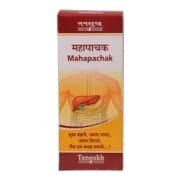 Tansukh Mahapachak Syrup is a super beneficial herbal digestive tonic. It helps in treatment of indigestion, gastritis, loss of appetite and constipation. It can be prescribed to people of all age group. An improper diet and lifestyle is primary culprit for stomach disorders like indigestion and gastritis. 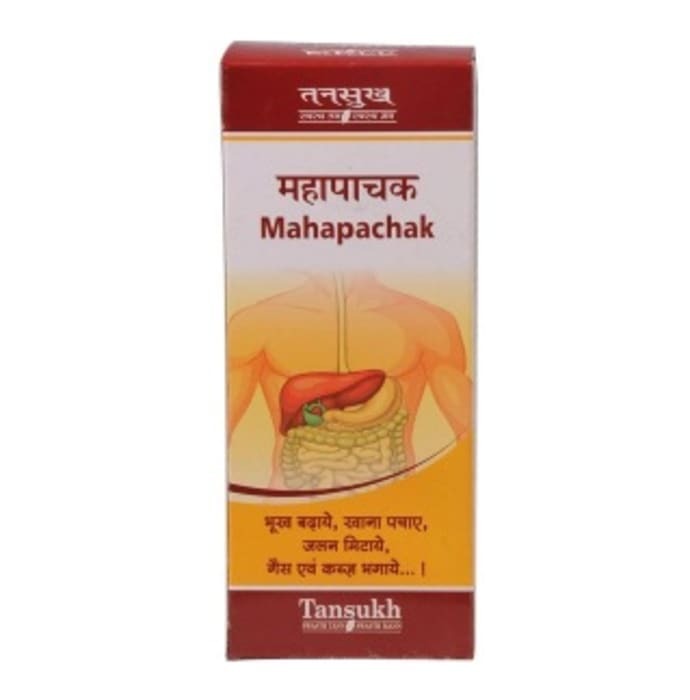 Tansukh Mahapachak Syrup helps you relieve any kind of stomach disorders by digesting the food consumed properly. • Helpful when suffering from indigestion, loss of appetite, gastritis and nausea. An unhealthy lifestyle and irregular diet can cause these symptoms and Tansukh Mahapachka Syrup helps by digesting the food consumed properly. A licensed pharmacy from your nearest location will deliver Tansukh Mahapachak Syrup. Once the pharmacy accepts your order, the details of the pharmacy will be shared with you. Acceptance of your order is based on the validity of your prescription and the availability of this medicine.